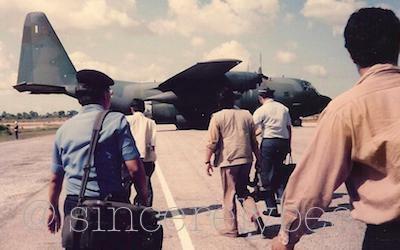 I WAS ONCE promised a “free ride” for a job well done… little did I know it would be in an army plane! On this date 21 years ago (9th Feb 1993), I found myself on an army plane en-route to Haadyai for an assignment. 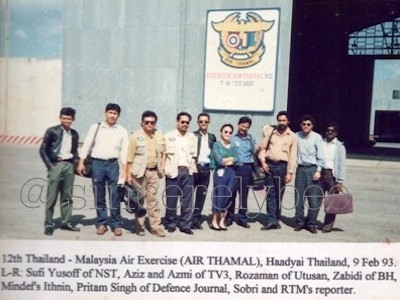 I was the only girl among the 12 journalists and TV crew who went to cover the opening of the 12th Malaysia-Thailand air exercise in the southern Thai city. Also on board was the Army Chief. Our mode of transportation to and fro KL-Haadyai, that brought us home within the day. This entry was posted in Star Stint, Travel Back in Time and tagged Asia, Star, Travel. Bookmark the permalink.